An automated, low-altitude air traffic control system for drones is just one of the suggestions to come out of a European Commission-sponsored paper on re-regulating drone use. The European Commission wants to make it easier for lightweight drones to fly autonomously in European airspace -- with logistics, inspection services and agricultural businesses set to benefit. Last Friday, the Commission unveiled a plan to improve the safety of drones flying at low altitude. It wants to introduce a consistent set of rules across the EU for flying drones in "U-space," its name for regulated airspace under 150 meters in altitude. Simpler regulations will be welcomed by multinational businesses such as gas giant Engie, which is developing drones for tasks such as pipeline or building inspection or for cleaning the insulators on high-voltage overhead power lines. Other businesses, including some exhibiting at the Paris Air Show at Le Bourget this week, will see common rules as a way to simplify the development of drones and related services. As part of a plan to automate air traffic control for drones, the Commission wants to build a register of drones and their operators by 2019, and to have drones identify themselves electronically. It also wants to introduce geo-fencing, building a database of sensitive areas that drones will be required to automatically avoid. The rules for U-space will replace today's patchwork of national regulations affecting drones weighing less than 150 kilograms, in which the same drone is subject to different rules depending on which side of a border it flies, and whether it is flown for business or pleasure. The U-space plan was developed at the Commission's request by the Single European Sky Air traffic management Research Joint Undertaking, and takes into account new aviation safety regulations being developed by the European Parliament and EU member states. The 150-meter ceiling for autonomous flights will suit Drones'Guard, developed by Azur Drones for video surveillance. On show at Le Bourget, it's designed to watch over factories and other large industrial sites from an altitude of 100 meters. When tethered to a power source, it can hover for up to eight hours non-stop. 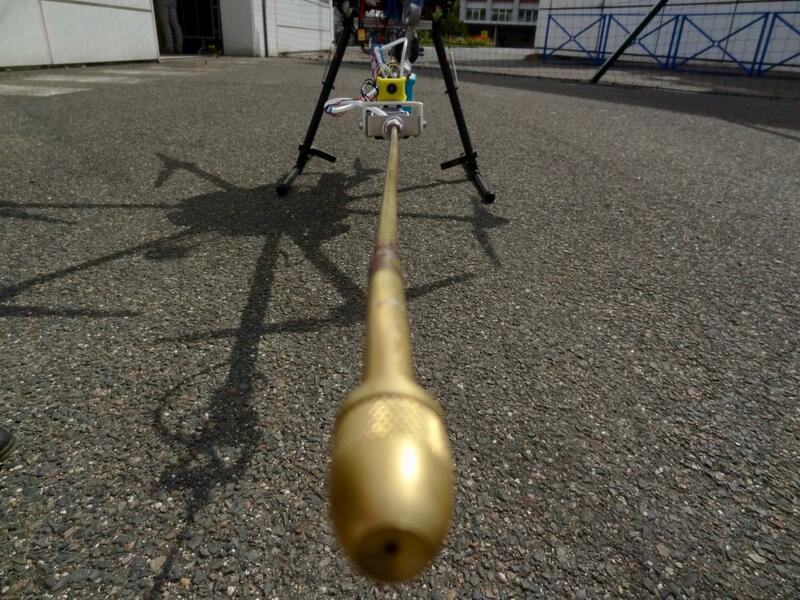 French energy company Engie showed off prototypes of tethered and untethered drones at its new Drones & Robots Laboratory to the north of Paris last week. While the drone air traffic control rules won't have much effect on its tethered drone, which is intended for inspecting the interiors of large industrial buildings, they could make life simpler for another drone it is developing to clean the insulators on overhead power lines. These stacks of glass discs, used to suspend power lines from pylons, gradually lose their ability to insulate as they accumulate dirt. This can come from a number of sources: Among the worst is metal dust from neighboring industrial sites -- aluminum smelters, for instance, need a sturdy and reliable electricity supply -- but almost as bad is moss, which can grow on the glass and retain moisture. The usual way of cleaning off moss is to send someone up in a cherry-picker, but this is costly, time-consuming and potentially dangerous. With the drone, it's just a matter of flying close to the insulator and spraying a moss remove agent onto the glass discs. Within a few days, the moss will dry up and drop off -- or so the theory goes. Engie's prototype uses standard industrial valves and actuators to orient the nozzle and turn on the spray. A pressurized steel canister holds the cleaning fluid -- which is nothing special, according to Engie research engineer Patrick Subreville: It's the same stuff he used to remove moss from the roof of his house last summer. To comply with local laws, Engie's moss-removal test flights must take place inside a net enclosure, one pilot guiding the drone and another directing the spray. The EU's proposed safe space for drone flights could open up commercial opportunities for this and many other applications.